An entire city full of heroes, villains, superhumans, mutants, criminals, aliens and secrets. A playground for crimebusters and superhuman adventurers of all kinds. A great sourcebook for G.M.s and players alike with scores of heroes (optional player characters) and villains. 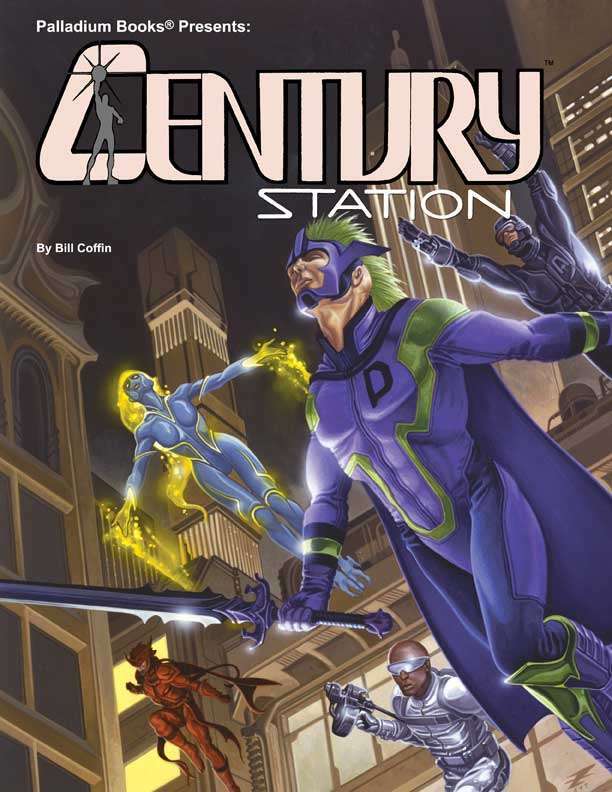 Mega-City of Century Station mapped and described. A wealth of world information. 40 heroes plus lawmen and other forces. The Sector and anti-alien groups. 101 adventure settings and ideas! 224 pages of fun and adventure!